The writing and directing teams behind 2010’s smash hit “Despicable Me” have returned, minions in tow, with a follow up that furthers the transformation of former super villain Gru into all around good guy in “Despicable Me 2”. Universal and Illumination studios definitely know what worked best the first time around and have spent the time in the sequel to advance those storylines instead of just rehashing the original’s premise. 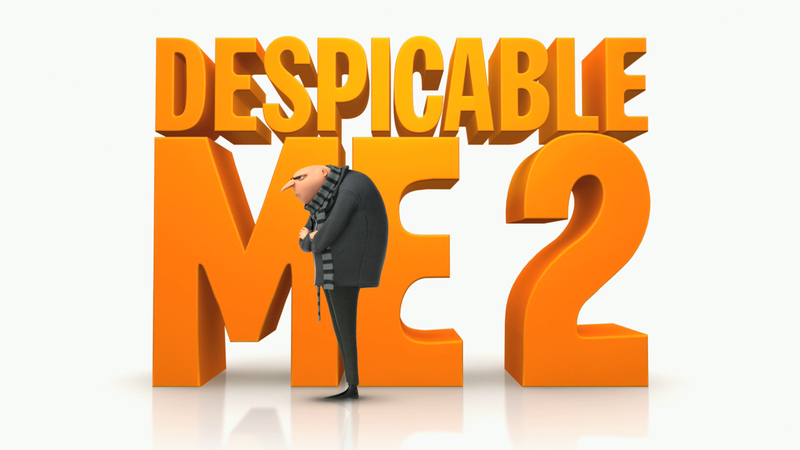 In Despicable Me 2, Gru (Carrell) is recruited by the Anti-Villain League, rather forcibly by agent Lucy (Wiig), to help deal with a powerful new super criminal. The mission has Gru going undercover to find out who has taken a very deadly substance inside a shopping mall. Of course Gru’s minions and girls, Margo (Cosgrove), Edith (Gaier) and Agnes (Fisher), are all back attempting to help him out, and help him find love in the process. Meanwhile, Margo’s first boyfriend has Gru seeing red. 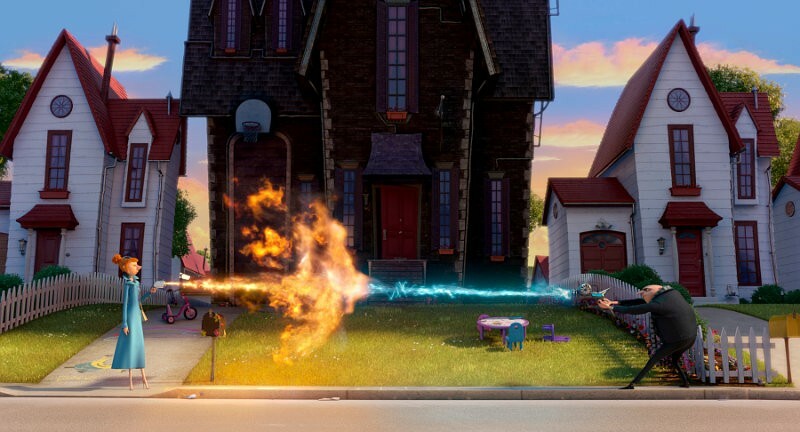 The filmmakers behind Despicable Me 2 know exactly what the audience wants and they deliver in spades. Fans of the first film will be delighted with the sequel though the film has a much less original story than the first and because of that is not a strong a film overall, but part 2 may actually be funnier than the first. Despicable Me 2 is also the perfect launch pad/lead off point for the spinoff “Minions” movie that is slated for late next year. Gru and his minion’s antics seem to be front and center in this film, which leaves less time for the girls in this adventure and I suspect they will barely show up in the minion spin-off as the filmmakers have clearly identified that the minions are what the fans seem to want most. 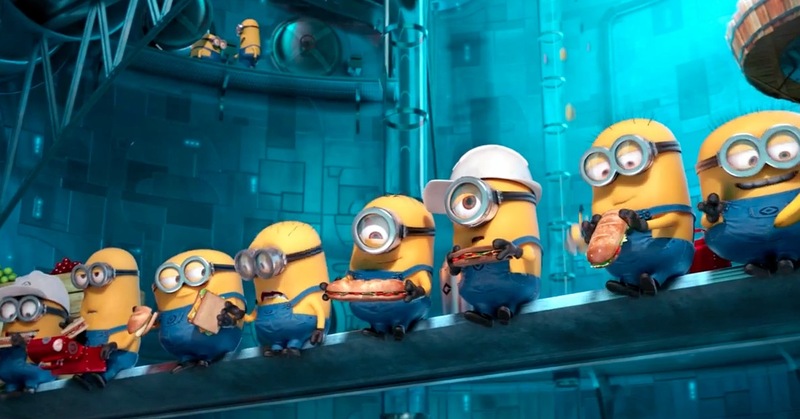 The 3D in the main film has its moments but is hardly necessary, but as with the first film the credits sequence filled with minion antics is crucial for 3D, in fact it’s some of the best 3D gag work ever put on film as it really pushes the boundaries of what ‘jumping off the screen’ really means. The animation style has not changed, and why would it, but still manages to remain sharp and crisp. The gadget aspect of the first film has also taken a back seat here a more simplified spy plot. 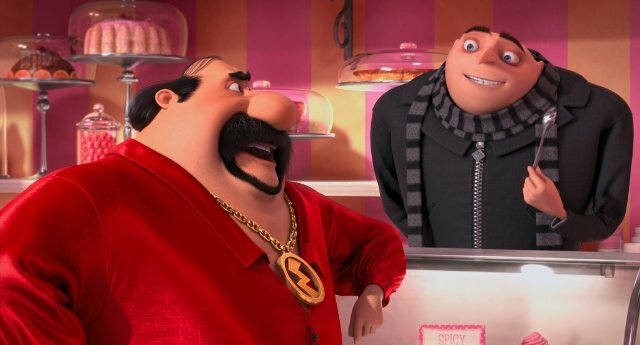 The work from the voice cast is very good though, Carrell seems completely comfortable in Gru’s skin, Wiig is a flighty delight and Bratt is excellent as the restaurateur who may or may not be the long thought dead legendary super villain and professional wrestler from Mexico ‘El Macho’. While the story may be weaker, Despicable Me 2 delivers the laughs throughout providing some of the biggest laughs of the year and delivering a musical sequence at the end that rivals the equally hilarious “This is the End’s” final sequence for best musical based number of the year. If Despicable Me 2 is any indication of what will come with the “Minions” movie, then you can be sure to see this movie junkie in the front of the ticket line.